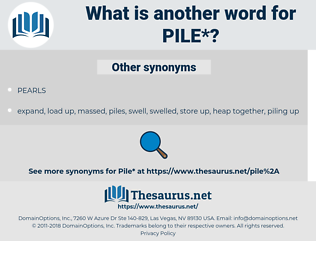 What is another word for pile? 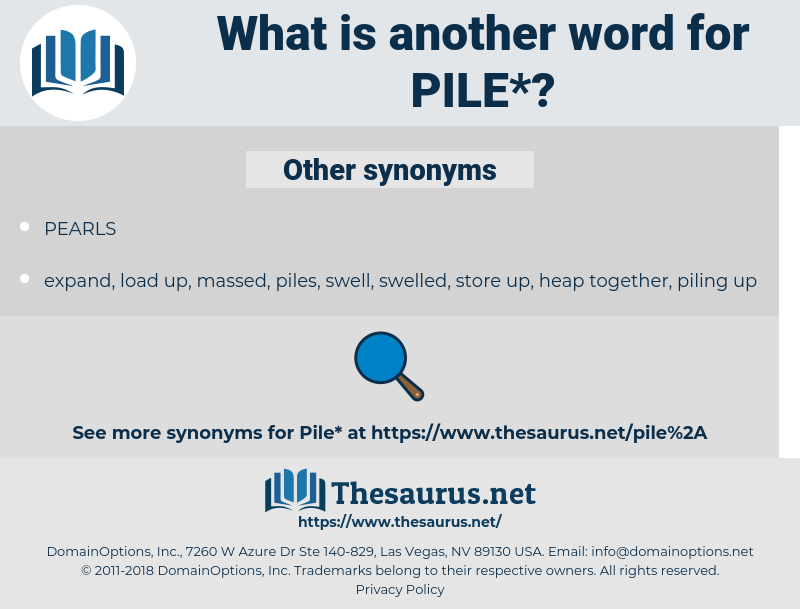 sack, pillar, pier, dump, spike, lot, bed, velvet, stake, cluster, bundle, landfill, lump. divide, spend, dissipate, disperse, separate, disburse, squander, waste, scatter, spread. From fifteen to twenty - five feet from the pile of men a line is drawn from which the players throw. Well, continued Gillies, we got outside in time to see Jules break his paddle over the head of one and pile into the other who had a knife out and looked mean. arrange, set, lay, put, set up, place, position, pose.